Very excited to be collaborating with The Green Lion, Australia's first vegan pub, tonight! 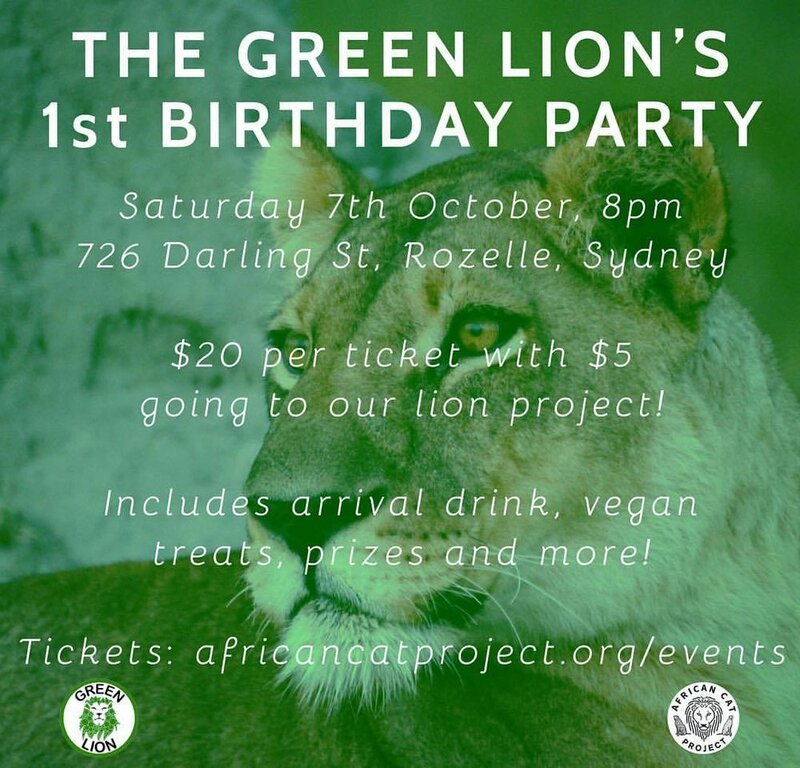 The Green Lion are celebrating their 1st birthday tonight and they wanted to give $5 of the $20 ticket cost to lion conservation - and they chose us! All proceeds we receive from tonight's event will go to our lion project in Kenya. Huge thanks to Bhavani and the team at The Green Lion for their support. There are still some tickets left if you're looking for something to do in Sydney tonight, click here to get yours now.